Once again, the media and Monday-morning Medical Quarterbacks are proclaiming that Prince, a pop music icon, died an addict. This is so offensive to me. There are so many different circumstances that need to be considered, and they all have to be considered. 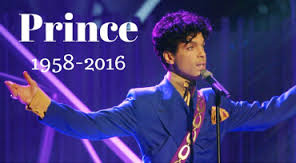 And when all is said and done, you will understand that Prince physiologically did die as a result of an opioid drug, but he most certainly was not an addict. First, I am going to state my qualifications to make this argument. Like millions of others, I am a long term cancer survivor dealing with all kinds of late effects from cancer treatments that were meant to cure us of our cancer, only leave our bodies a wreck decades later. And only now, is medicine finally catching up to us, realizing that we lived beyond the 5 year magic mark, long enough to develop late side effects from both chemotherapy drugs and radiation therapies. I have personally met hundreds of other survivors in my situation, left to deal with pain associated with these late effects that medicine does not seem to be able to help us manage or better yet, cure. Complicate this fact, that like me, many people’s thresholds for pain are so extreme, from dealing with decades of unrelieved pain, find themselves dealing level 2 controlled substances for relief, and that often is the best that can be had, is relief, not cure from their pain. Let us understand, if you have a headache, you take a Tylenol, or something else with acetominphen in it. Some take an extreme dose, and often this will do the trick. But even a proven pain killer has its risks, especially liver complications. But normally, this mode of treatment does provide some relief to this acute pain. But then look at the average worker who has to deal with chronic pain. The person who cannot afford to take time off from work, even if injured. When the body is injured, it needs at least to rest, if rest is not possible, then medical intervention. Just as with antibiotics however, your body builds an immunity to drugs once you continue on them. And unless you are able to not do the tasks that are aggravating that pain, the pain will only continue and get worse. That of course, means stronger means. But pain meds can only do so much. Enter opioids, which clearly help to relax the mind, as they are not meant to cure the pain. But by taking these opioids, an employee, or a rock star can continue to function, to earn their living. This does not make that person an addict. That person is just trying to survive, earn their living, all the while doctors are unable to cure the patient of the pain, and the patient is unable to remove themselves from an aggravating factor of their pain level. Eddie Van Halen, Steven Tyler, Prince, all suffered from needing pain relief. All these artists were committed to their craft. And that came at a price, that in order to continue to be successful, they needed to do what was keeping their pain levels out of control. And the only way to deal with that was to either stop what they were doing, not an option to them, or take pain killers. Only when their lives are out of control, is their pain actually addressed, and they realize that they cannot continue putting the physical stress on their bodies. But this does not make them an addict. As I mentioned, I used to work in an environment that constantly increased pain for me, that I already had. But I could not afford to take off from work, and there is no cure for the radiation damage done to my body. The only way that I could get through a day was to begin taking stronger pain killers, and as the tolerance for those pain killers grew, my pain continued to escalate, because along with the relief of the pain, I was still exposing my body to the issues that were increasing the pain and aggravating the issues I was dealing with. Within four years, I was using some of the top opioid pain killers, all the while continuing to work. But I was definitely not an addict. I was doing what I had to do. But physically, the abuse on my body, working with pain and injury, numbed by the opioids, only continued to make things worse. Which is why, my employer had assisted in me finally giving my body the break that my doctors had been begging me to do, and enter the disability process. Removing myself from the physical demands that had been escalating my progressive issues, allowed me to finally deal with my pain without relying on opioid painkillers. It makes no sense to me, that our society will not accept medical marijuana which would accomplish the same thing as an opioid pain killer without the addiction. But without you having the personal experience dealing with extreme pain levels that many of us go through on a daily basis, with no opportunity for cure or relief, you have no right to judge. But having gone through open heart surgery, having my breast bone cracked open, kidney stones, and a raging septic case of pneumonia causing unimaginable pain, opioid pain relief was all that got me through those incidents. It is a shame that Prince, a musical genius, was not able to give himself the opportunity to try to heal from his pain. He may have died from the medication, but it is not fair to call it an overdose, as overdose implies an intentional act. Prince, I believe was only trying to continue the only thing that he knew how to do, perform and produce, and that meant no rest. And the only way he could continue to do so, was with the help of prescription painkillers, but that did not make him an addict. But if medicine and society really wants to put an end to events like the death of Prince, then medicine and society have to first, stop putting pressure on people to continue to work when they are legitimately hurt. And medicine has to learn to do more than just medicate pain, it has to cure it. And until medicine and our society develop empathy for those of us who deal with chronic pain, and most likely for the rest of our lives, I speak for everyone, you have no right to judge about how we live a quality life as best as we can.